CMC Ludhiana MBBS Application Form 2018 can be filled online only. 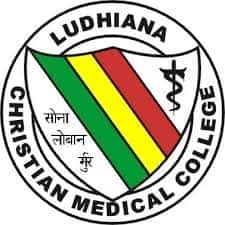 CMC Ludhiana Online Application will be available soon for the fresh applicants for MBBS and BDS course and who will appear in the Bible Test. The candidates who are looking forward to getting admission in CMC Ludhiana for MBBS and BDS need NEET score to apply. The candidates can only fill the application form online and they need not send the hard copy of the application form to the Medical College. The Application fees can only be paid online and there is no option of paying the application fees through Demand Draft (DD) or paying at the university counter. On this page, the complete information regarding the CMC Ludhiana MBBS Application Form 2018 is available which the candidates can check. Eligible candidates can apply in the following manner for CMC Ludhiana Entrance Exam for Undergraduate Courses. The application process will start from the first week of August 2018. Therefore, the candidates will be able to apply online when the application process gets started. The candidates can apply online and make payment of the application fee of Rs. 3,950 through Credit Card/Debit Card/Net banking. Moreover, the instructions to fill the application form is given on this page. The candidates can pay the application fees through any Debit Card/ Credit Card/ Net Banking, using the online gateway payment facility. No other mode of payment will be accepted. The candidate cannot make payment through Demand Draft or cash payment. Candidates can fill the CMC Ludhiana Application form Online through Internet from any place of convenience. The candidates have to submit all the details as per their eligibility while filling the CMC Ludhiana Application Form 2018. The applicant has to register on CMC Website before filling up the Application form. The Registration Number and password will be sent to the registered email address and as SMS to your Registered Mobile Number. Once CMC Ludhiana MBBS Application Form is filled make sure to review all entries filled in before Submission. On Final Submission, entries in the form cannot be modified/changed/corrected in any way. Candidates have to note down this registration number for all future correspondences. Candidates should have a valid personal mobile number and a personal Email id. Evangelical Lutheran Church in M.P.